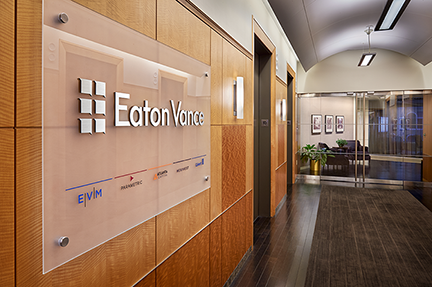 By joining the Eaton Vance family, you’ll become part of a company that has one of the best employee retention rates in the asset management industry. The Mutual Fund Service Representative role provides a comprehensive introduction to the financial services industry, presenting the opportunity to learn about Eaton Vance products and the broader mutual fund industry. "My Mutual Fund Services starting position gave me a fundamental background and understanding of the asset management business that I still reference today in my job, 18 years later. Having to resolve new issues everyday day gave me excitement and was the basis for the passion I have for my job and for this business. I really think those that start on this team are our strongest employees." "It’s hard to believe that more than 10 years have passed since I started working at Eaton Vance in Mutual Fund Operations. This role taught me the skills necessary to provide proper service to our clients and is the soul of my career. Where I am today, without question, is due to the time I spent in Operations." "I cannot emphasize enough how beneficial it was to start my financial services career as a Mutual Fund Services Representative. After interning in financial services for three years, I knew I wanted to eventually be in more of a client-facing role full time. The mutual fund services representative role was a perfect hybrid of customer service training and sales development. " The Research Associate Program is a 3-5 year developmental program that allows individuals to work with investment analysts and portfolio managers. Research Associates receive comprehensive on-the-job training, learning to conduct in-depth analysis of markets and securities. "Working as a research associate in the equity department at Eaton Vance has been an incredible journey so far. I have learned so much about investing from my colleagues on the equity team. From participating in the daily morning meetings to attending meetings with leaders of global companies, the experience has been invaluable. Senior analysts and managers are always willing to spend time and share insights with less experienced associates." "Having an internship gave me exposure to the great culture in the Bank Loan group and their approach to investing. The experience made me confident that the research associate program would be a great foundation for my career. I feel very fortunate to have this opportunity and be surrounded by so many talented peers and mentors." "My internship in the equity research group was an invaluable experience, giving me the chance to work with investment analysts and portfolio managers with vast experience and expertise in the business. The collaborative, engaging environment at Eaton Vance instilled confidence in me that the research associate program would be a wonderful place to begin my career." Eaton Vance’s intern and co-op programs are dedicated to providing interns with a learning experience with real-world, hands-on participation. Our programs offer the opportunity to develop professional and business skills in a corporate environment with the ability to gain exposure to the investment management industry. This 10-week program for undergraduate students, who will be entering their senior year of college in the fall, takes place from June through August. The hiring process begins in the fall and continues through the spring. Business experience within a specific functional area. A comprehensive orientation including training courses focused an overview of the mutual fund industry and professionalism. Networking opportunities with seasoned professionals through the Lunch & Learn series. Community service through volunteer opportunities at three different charitable organizations in the Boston area. Our MBA program is focused on hiring summer interns within our investment areas. Each year, we continue to participate in on-campus recruiting programs at top business schools..
Eaton Vance hires undergraduate co-ops across all areas of the organization. Co-op assignments are for a six-month time period. The winter/spring co-op cycle begins in January and continues through June, with interviewing taking place in October and November. The summer/fall co-op cycle runs from July through December with interviewing taking place in March and April.